BENFIELDS is a CFA Registered Cattery, located in the state of Maryland. Maryland is one of the northern most points of the Southern Region of CFA. 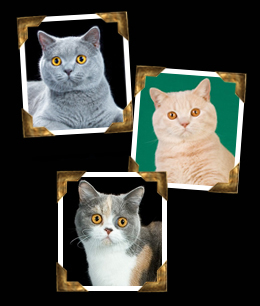 Benfields is (so far) the only British Shorthair Cattery in the State of Maryland, bridging the gap for so many Brit fanciers, who have had to rely on breeders so far away. British Shorthairs are an easygoing breed of cat. They have a stable character and take well to being kept as indoor only cats, making them ideal for apartment living. The British Shorthair is gaining in popularity every year as it is bred and exhibited by an increasing number of enthusiastic fanciers. Because of its easy-going nature and intelligence, it has become a favorite of animal trainers, and in recent years many examples of these cats have appeared in Hollywood films and television commercials. 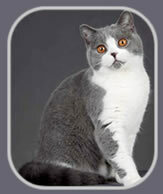 The British Shorthair is easy to groom and is a playful but no-nonsense cat. He tends to be reserved, in fact typically British by nature, but once he becomes a part of the family he is a devoted cat and undemanding companion.